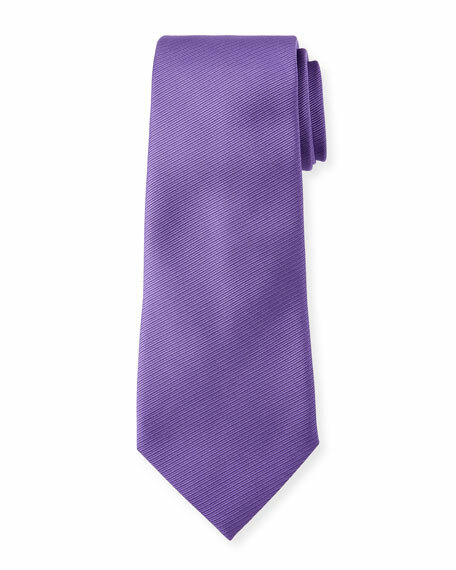 TOM FORD satin-finish twill tie. Bigi tie in solid-color weave. Approx. 3.1"W (8cm). Silk. Handmade in Italy. Exclusively ours. 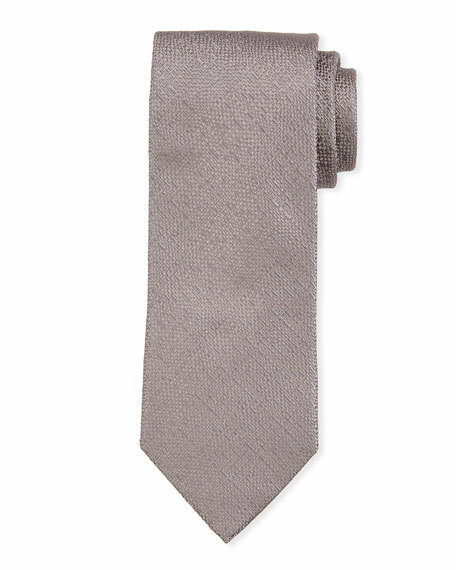 Ermenegildo Zegna tie in solid twill design. Greater than 3" at widest. Silk. Made in Italy. Exclusively ours. 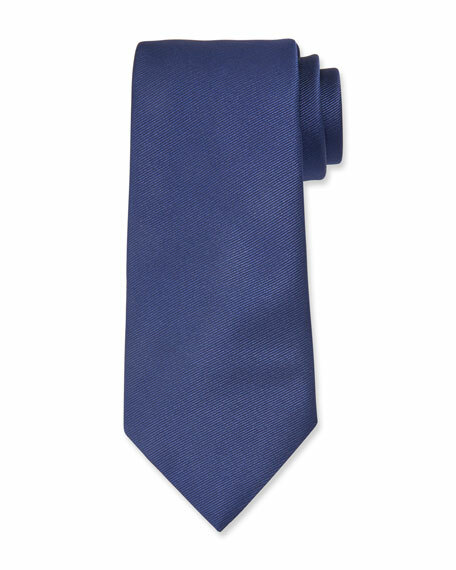 Ermenegildo Zegna tie in solid-color twill. Approx. 3.5" wide. Silk. Made in Italy. 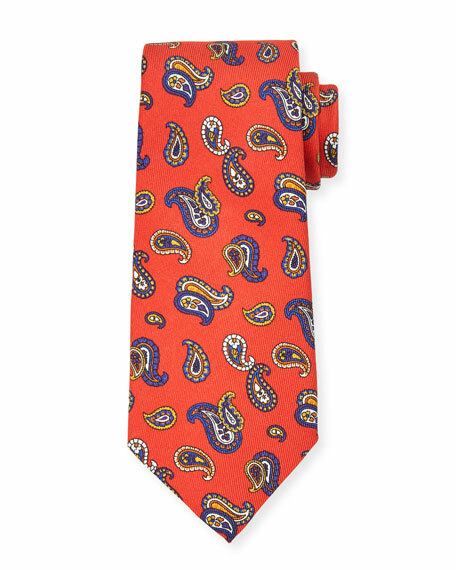 Etro tie in mid-size paisley print. Approx. 3.1"W. Silk twill. Made in Italy.